IMPORTANT UPDATE: TRAJAN PRO is an Adobe font whose license DOES NOT allow embedding on websites or ebooks using @font-face. See comment section on details and links to Adobe licensing. When choosing a font to embed, make sure you have the legal right to do so. Resources: I like to use Linotype (paid) and DaFont.com (free) as my sources for finding typefaces when designing book covers. Just found this via a yahoo search. I am trying to find a way to have one font only show up in an ebook I’m making for Kindle. I generally use Calibre, but I’m not real technical minded when it comes to doing it a different way. I want to make an edition out of the free typeface Open Dyslexic. I have downloaded the font and need to figure out how to have it show up after the conversion. I looked at Kindle’s pretty easy tutorial instead of using Calibre, but they don’t address embedding fonts that I can see and they haven’t gotten back to me. Is there a simple way to do this like zipping the 4 font files when I upload to Kindle? Grace, First I apologize the images were not displaying in the post – this has been corrected. To embed a font requires getting into the actual file and manipulating the style sheet. First, you add the fonts to your epub or mobi package. You then need to declare the font in your styles using @font-face, making sure the name and font location link is correct. The entire book is then Zipped and uploaded to B&N or Kindle. Embedded fonts can be tricky to use and apply and not all of them display correctly. I do not recommend embedding fonts unless it is absolutely necessary. In many cases the user has chosen a default font for reading on their devices. also, before you use any font, you need to make sure you have the legal rights to embed them in the ebook. Can you enlighten me more about the CSS file? How do i make that? Is that a text file that i will save as “.css”? The CSS file can be complicated if you have never made one. You can create one using your Text editor and saving it with the extension .css, such as style.css. Is it legal to embed Trajan Pro in an ePub book? I can’t wrap my head around Adobe’s licensing terms … but I assumed it wasn’t allowed, since they have a special service set up for website embedding, and ePub embedding seems to be even more squirrely as far as licensing goes. I would love to use it if possible. My choice of Trajan Pro was a bad example for embedding in ebooks as Adobe doesn’t allow it. The entire process IS confusing, but ultimately the answer is no. All fonts in the Adobe Type Library can be embedded in Adobe Portable Document Format (PDF) files, as well as other types of electronic documents. Many can also be modified for internal use. To view a list of the specific permissions for all fonts in the Adobe Type Library refer to Adobe’s Font Permission List. All of the fonts in the Adobe® Type Showroom are set for Preview & Print embedding, which allows the font, either fully or as a subset, to be embedded in an electronic document solely for the purpose of viewing that document on screen and/or printing that document. Why doesn’t Adobe allow its fonts to be used with @font-face? 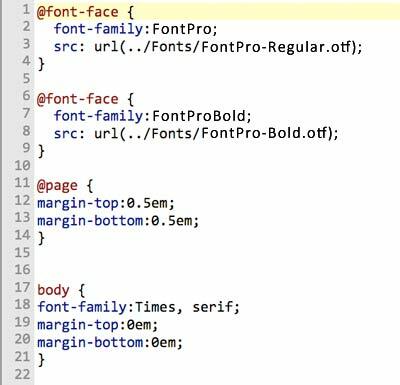 When a font is used on the web with @font-face, it is made available on a server for a browser to download and use. Doing so exposes the font to both piracy and unintentional misuse. Services like Typekit provide extra layers of protection for fonts to help reduce those risks. 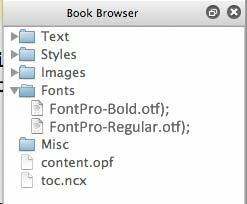 So… it appears Adobe Fonts (Trajan Pro) is not allowed in ebooks as well since you would be using @font-face. Thank you for pointing this out and I will adjust the post to reflect this information. Okay, thanks – I really appreciate your taking the time to reply. I ended up finding an alternative font with an ePub license on fontspring.com … hopefully in time more foundries and distributors will offer purchasable ePub licenses for their fonts.